"PARKitectOUR", is a book which documents the three student workshops held in Italy and Switzerland by the University of Applied Sciences of Bern. The task was to show Parkour and architecture within urban projects. 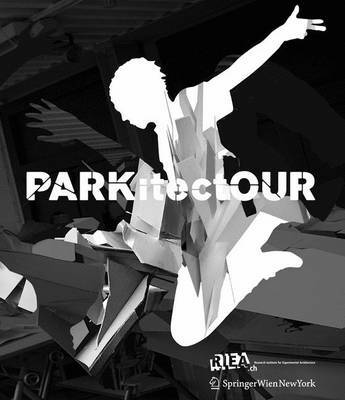 Parkour is a new sport that was created in the suburbs of Paris. A 'Traceur' (the runner) moves smoothly, acrobatically and quickly through impenetrable, typically urban terrain. The Traceurs motion creates the 'urban free flow'. This urban free flow is what the students had to trace in their designs. This was completed along with urban planning tasks in the surroundings of a Luigi Nervi building in Turin. The workshop was organized in cooperation with the Politecnico di Torino. The other two workshops are part of the freshman curriculum at the university where Guy Lafranchi is the dean of studies of the architecture department.